Open to the public. 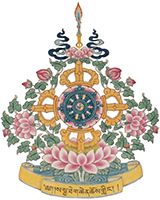 A tantric feast honoring the tantric master Padmasambhava who made Tibet safe for Buddhism. It's appropriate to bring any food offering (fruit, meat, etc).